This milk smells a bit funny - I think it’s gone off. Food that is not stored in the fridge will go off more quickly. 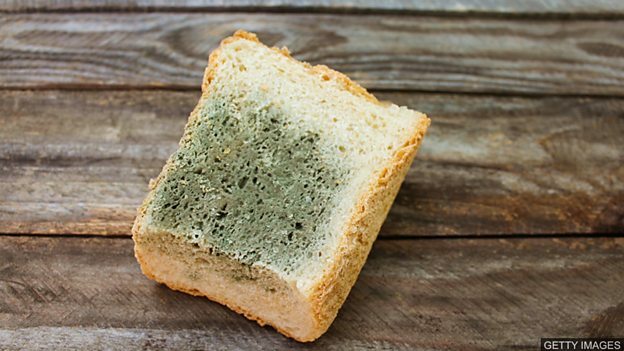 Don’t eat that bread - it’s gone off! Look, it’s green on the outside.